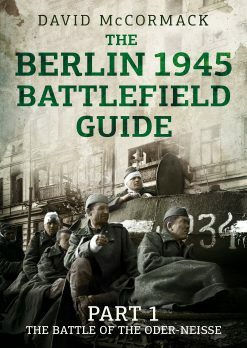 This is the first book in English that allows the reader to follow the street fighting in Poznań through the eyes of the Wehrmacht soldiers, documenting the story of the German armoured forces engaged in the battles for the city. This is a well produced book, with some interesting images and includes footnotes and useful appendixes. The first hand accounts from German participants (including civilians) are of note, and are one of the highlights. 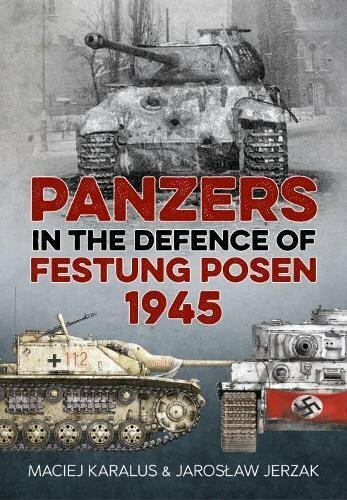 Panzers in Defence of Poses 1945 by Maciej Karalus and Jarosław Jerzak is the first book published in English to describe the bitter battle for Festung Poznań in 1945. 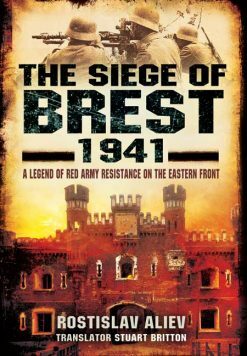 That Polish city, occupied by the Nazis since almost the very beginning of the Second World War in 1939, was declared a fortress (Festung) on January 20 1945, and for the whole month it saw heavy fighting between Wehrmacht and Waffen SS troops and the Red Army advancing directly towards Berlin. Among the garrison of the fortress a special part was played by a small heavy Panzer unit which possessed just 1 Tiger tank, 2 Panthers, 1 Panzer IV and a handful of Sturmgeschütze. Despite the difficulty and sparsity of sources, the authors were able to acquire an impressive wealth of information and memoirs, as well as rich iconography. Before Poland was able to regain her full political autonomy in 1990, the fighting in Poznań was described only by Zbigniew Szumowski and Stanisław Okęcki. 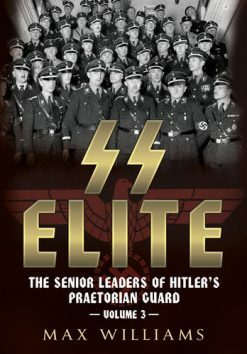 These, however, were poor compilations, only marginally touching upon the participation of German Wehrmacht. 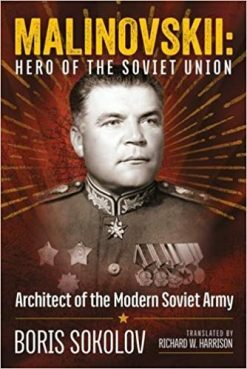 These authors looked upon this subject through the lenses of Soviet documentation’s and historiographical propaganda of their times. Sadly, they could not or would not make use of the documents in German archives. 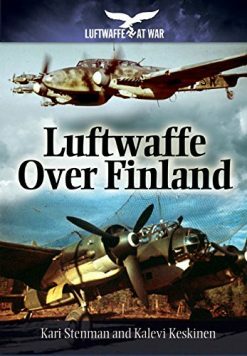 Their cardinal mistake was to overestimate the strength of the forces at play (especially on the German side), and the glorification of the Soviet victory, foregoing an honest analysis of the losses of human life as well as equipment on both sides.